Professional and amatuer anglers and those looking for a fun, family way to spend a week gather in July at Jim King Park & Boat Ramp at Sister Creek for one of the largest kingfish tournament in the Southeast. In 1980, a small group of local businessmen wanted to organize a fishing tournament, similar to those in which they had participated in other coastal areas. 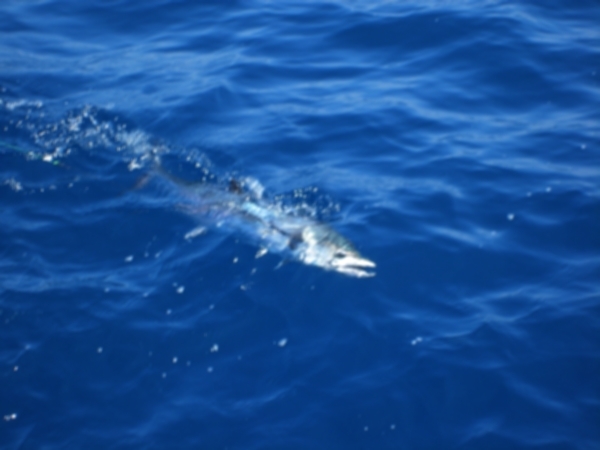 They thought Jacksonville was an ideal location for such an endeavor and plans were made to launch the First Annual Greater Jacksonville Kingfish Tournament, held in July of 1981. Jacksonville Marine Charities, Inc., a 501c(3) nonprofit organization, evolved through the success of the GJKT and utilizes its proceeds to support marine science research, preservation, and education. The Junior Angler Tournament, was established in 1991 with a $10 entry fee, which has not increased to this day. New in 2019, we are accepting Junior Angler entries, at $50 per Junior, and you do not need to be registered in the General Tournament. This event is specially designed to accommodate the future anglers under the age of 16 years. Good sportsmanship, conservation awareness, and enjoyment of fishing experiences are the high point of this exciting family event. A partnership was established with Fish Florida in 2007, which further expanded the Junior Angler program with the introduction of Junior Angler seminars during Tournament Week. No boat to fish from? There is a Jr. Angler Dock Tournament for those youth, fished from the docks right at the Sisters Creek site.